For hundreds of years, human activity has modified the planet’s surface through land-use practices. Policies and decisions on how land is managed and land-use changes due to replacement of forests by agricultural cropping and grazing lands affect greenhouse gas emissions. Agricultural management and agroforestry and the resulting changes to the land surface alter the global carbon cycle as well as the Earth’s surface albedo, both of which in turn change the Earth’s radiation balance. This makes land-use change the second anthropogenic source of climate change after fossil fuel burning. However, the scientific research community has so far not been able to identify the direction and magnitude of the global impact of land-use change. This paper examines the effects of net carbon flux from land-use change on temperature by applying Granger causality and error correction models. 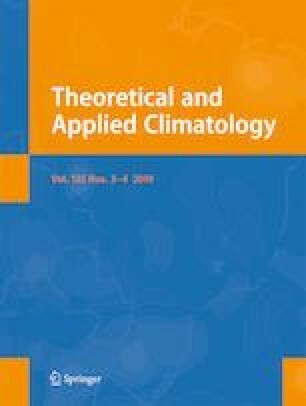 The results reveal a significant positive long-run equilibrium relationship between land-use change and the temperature series as well as an opposing short-term effect such that land-use change tends to lead to global warming; however, a rise in temperature causes a decline in land-use change. The online version of this article ( https://doi.org/10.1007/s00704-018-2422-8) contains supplementary material, which is available to authorized users. We would like to thank the editor and an anonymous reviewer for good comments that improved the quality of this paper. Global Carbon Project (2017) Global carbon budget 2017. Earth System Science Data Discussions. https://doi.org/10.5194/essd-2017-123. pp. 1–79, by Le Quéré C, Andrew RM, Friedlingstein P, et al.